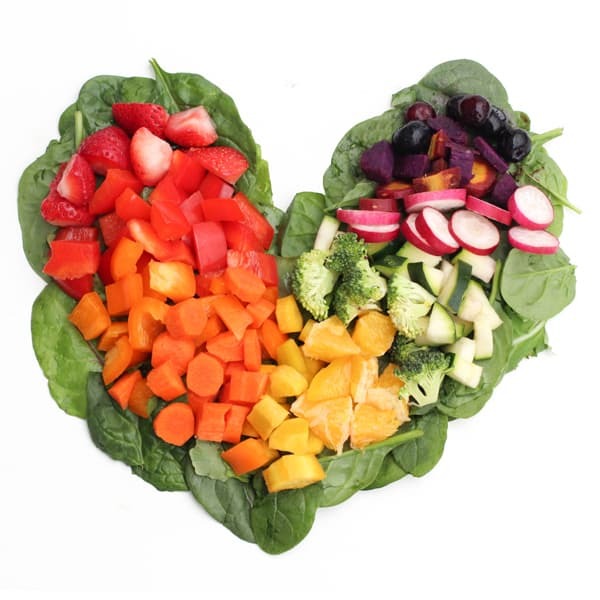 Flavonoids are a group of antioxidant phytonutrients that, along with carotenoids, are responsible for the vivid colors in fruits and vegetables. Flavonoids also appear to contribute important health benefits. There are more than 5,000 different flavonoids in the plants we eat. Flavonoids are found in fruits, vegetables, nuts, and grains. They are plentiful in cocoa powder and, to a lesser extent, in other types of chocolate. Some flavonoids, like quercitin, are widespread in plant-based foods. Others are only found in certain food groups; hesperidin, for example, shown to increase blood flow, is mainly found in citrus fruits. In one study, researchers discovered that test subjects who drank two cups of orange juice had more improved blood flow compared to those who were given only the hesperidin that would be found in two cups of orange juice. The isoflavones (a type of flavonoid) found in soy may help lower cancer risk. Scientists believe flavonoids may prevent tumors from releasing angiogenic chemicals that spur the growth of new blood vessels that feed tumors. Phytonutrients in tea, spices, fruit, berries, broccoli and beans can suppress angiogenesis. In another study, researchers found that plant phytonutrients reduced DNA damage caused by consumption of meat mutagens in animal protein. Researchers who followed a group of 1,800 healthy individuals for eight years found that those who drank fruit and vegetable juice had a 76% lower risk of developing Alzheimer’s. Certain flavonoid phytonutrients in an in vitro study not only inhibited the spider web-like formation of synuclein fibers, which appear to play a role in Parkinson’s disease, but some could even break them up. Flavonoid phytonutrients in fruits, vegetables and beans appear to inhibit the activity of xanthine oxidase, which leads to the formation of free radicals during exercise. Berries may reduce inflammatory muscle damage, and greens may reduce free radical DNA damage, with dark chocolate and tomato juice offering similar effects. Cherries or cherry juice appear to alleviate exercise-induced muscle damage and associated muscle soreness.